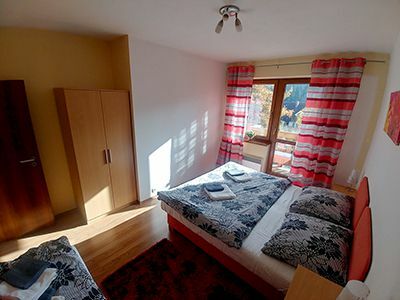 Apartment consists of 2 separate rooms and it is designed for 3 to 5 persons. 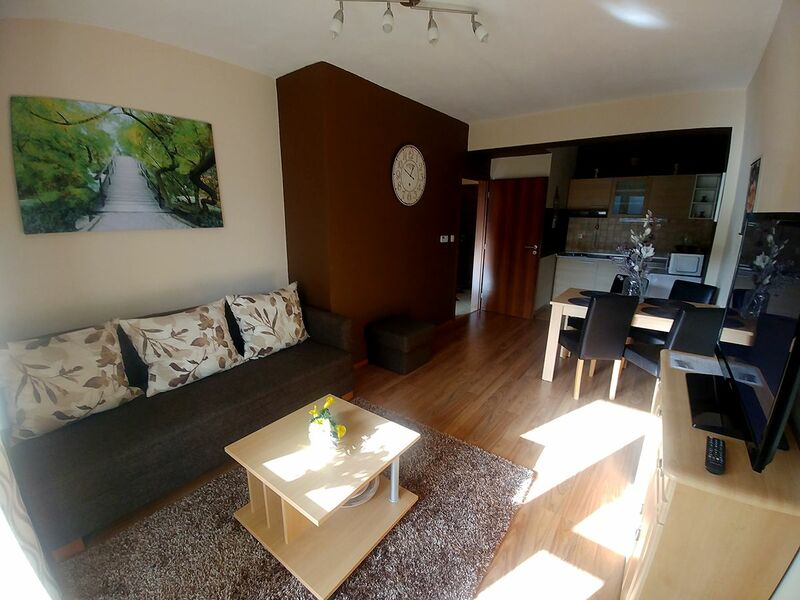 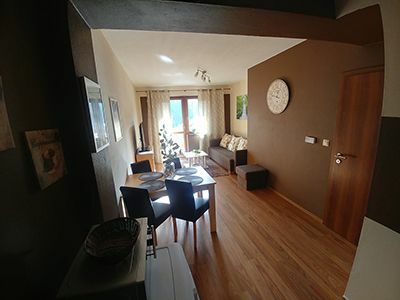 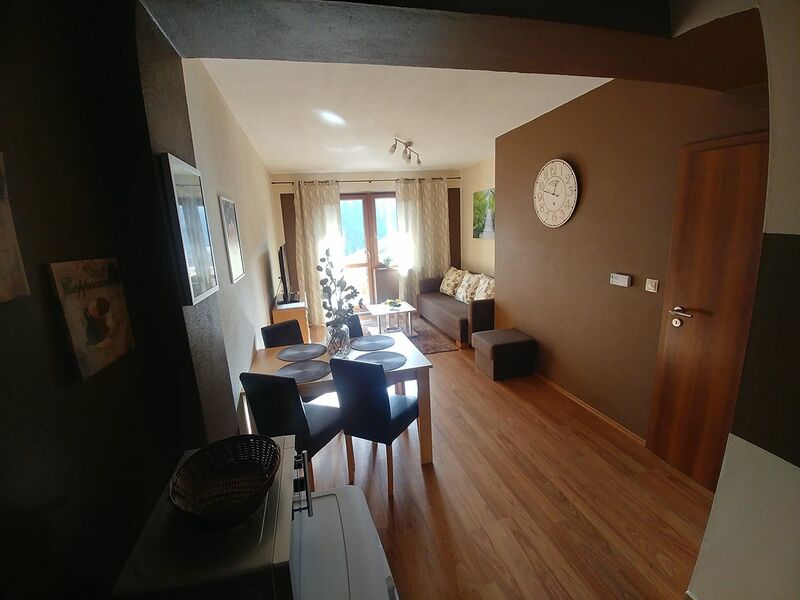 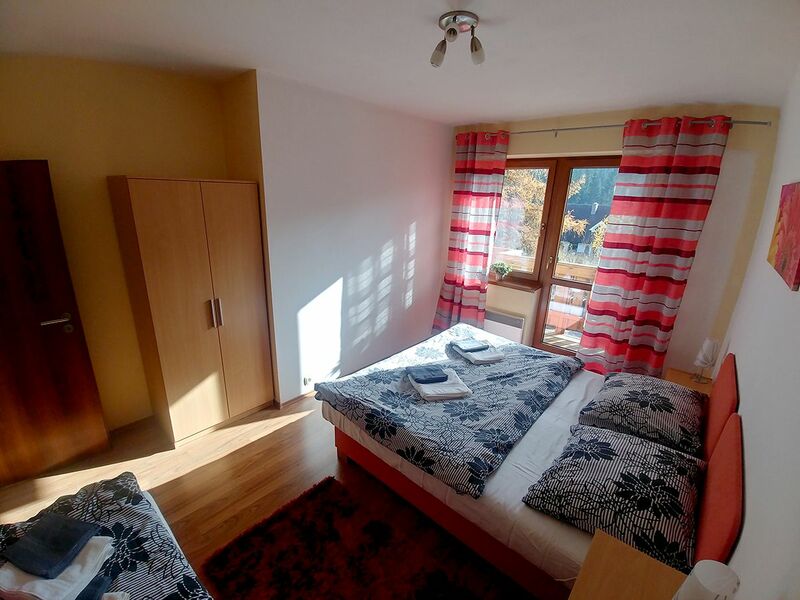 There is one bedroom designed for 3 people (one marriage bed + separate bed) and one living room connected with a fully equipped kitchen and a cosy dining area. 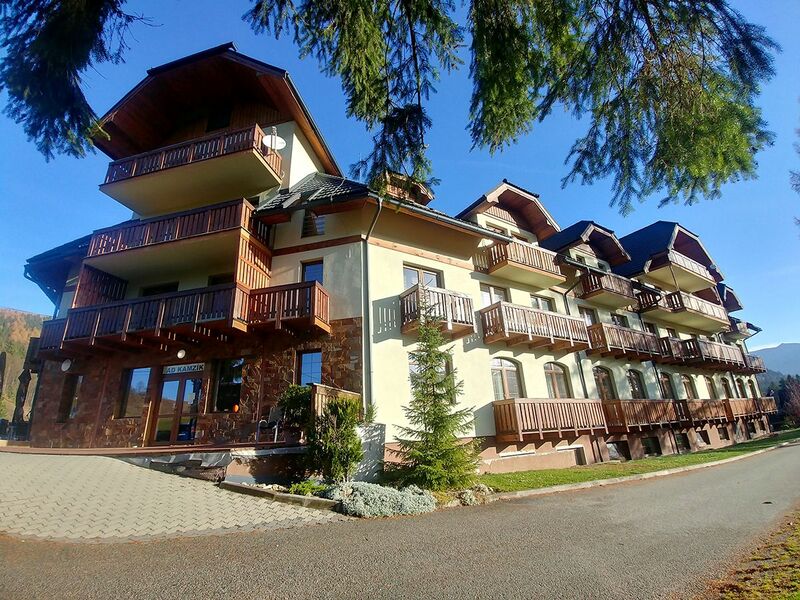 It is provided with a TV, spacious balcony, bathroom with a shower cabinet and a separate WC.